Professional Chauffeur limousine and Car Service through some of Livermore Valley’s exclusive boutique wineries. Pick the package that best fits your needs, we have made it easy to book and saves you money off the retail price. Select your own pickup locations, your home or any location of your choice. You are welcome to choose your own winery destinations. If you do not know where to go, we are here to help. Winery destination is totally you customizable to your liking as long as they fall within our service zone. Don't forget to check out local restaurants or grab a gourmet picnic lunch. At 5 STARS, we feature luxurious well-maintained, non-smoking vehicles. All vehicles in the 5STARS fleet are late-model sedans, SUVs, vans and specialty vehicles for your special occasion needs, perfect to accommodate any group size. Livermore Valley is a popular everyday wine-tasting destination, just less than an hour drive from the San Francisco Bay Area, and the quality of wines is as good as they come. Livermore is the prime destination for relatively low prices compared to most other California wine regions. One of California’s oldest wine regions, the Livermore Valley played a pivotal role in shaping California’s wine industry. The 3 Steves Winery is a boutique winery owned and operated by 3 friends that ........ you guessed it, are all named Steve. The winery is perched at the top of Greenville Road and is the perfect venue for sipping our wine with family and friends while enjoying stunning 360 views. Join a Steve for some stories along with our estate grown Cab, Zin, Chard and other wines soon. AuburnJames wines are produced from small lots handcrafted to bring out the most the fruit and AVA have to offer. Time is spent making sure the vineyards are managed properly and the fruit is harvested at the optimum time to get the right blend of ripeness and acidity. Award winning wine flights delicious small plate pairings daily with live acoustic music Friday & Saturday evenings. Bent Creek crafts small lots of complex wines made from our own grapes and other Livermore Valley vineyards. Visit our tasting room to enjoy delectable wines, serene vineyard settings and awesome views of the hills of Livermore Valley. We are nestled in a small valley off of Greenville Road warmed by the afternoon sun and refreshed by cool evening breezes. * $5 per person tasting fee. Applied to purchase of wine. 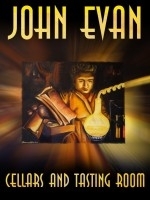 Fine wine, family, art, and big fun at Big White House & John Evan Cellars. We specialize in handcrafted, small-lot, luxury wines of rare quality with an emphasis on Rhone-type varieties. We don't do manicured lawns and fountains. What we do is produce big and balanced reds and tasty whites using traditional methods. We serve in an informal tasting room that encourages exceptional tasting experiences with intimate opportunities to learn about our wine. We look forward to seeing you! Please visit our five-acre winery, perched atop a sunny hill in the southeast corner of the Livermore Valley. You'll enjoy spectacular views of the Valley while relishing our full-bodied, hand-crafted wines. We have two large lawn areas perfect for picnicking. We also have a bocce court and are children and pet-friendly. Specializing in Estate grown premium red wines, we are proud to present the fruit of the work our family started in 1995. We spared no effort for our vines to produce low yields of the highest quality grapes that our Valley can grow. They were meticulously crafted into complex wines sure to please the most discriminating wine aficionados. Caddis is dedicated to the production of premier small lot wines. We purchase only the best grapes from high-quality vineyards to ensure that our wines are nothing but top notch. We are located in the heart of Livermore valley off of Greenville Road. Caddis is open for tasting by appointment only. Please contact us..we would love to share the best catch in Livermore with you. * Open by appointment only. Climb to the Peak of Wine Perfection! Earl and Linda Ault, former mountain climbers, established Cedar Mountain Winery 25 years ago. In 2012 they moved to a smaller property on Reuss Road to focus on handcrafted, small lot Table Wines and Ports. Earl will have more time to practice his skills as an accomplished artist and Linda will have more time to create gourmet meals for Earl! 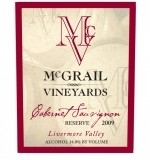 They specialize primarily in Livermore grown and produced wines. Beyond the end where the grape experience begins. 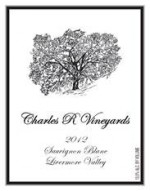 Charles R Winery is located in a small valley surrounded by ancient oak, rolling hills and wildlife. Our family-owned winery specializes in Livermore Valley grown and produced wine which includes Petite Sirah Cabernet Sauvignon Pinot Noir Syrah Zinfandel Primitivo Barbera-Sangiovese Chardonnay Sauvignon Blanc and Vino de Amor Port . We welcome you to our winery in the country to enjoy our award winning wine. "America's Oldest, Ongoing Winery Under the Same Family Label and Stewardship"
Founded in 1883, Concannon is the home of the Concannon Clones 7,8 which helped CA Cabernet achieve international recognition - and of "America's First Petite Sirah." We invite you to enjoy award-winning wines, global cuisine, and inspiring tours amidst the romance of the vines. Chosen as IntoWine's "Top 25 Most Awesome Tasting Rooms in California." A family owned and operated winery and vineyard in the heart of beautiful Livermore Wine Country. The Barrel Room accommodates up to 100 guests. The Garden Terrace with lush gardens and lawn provide a beautiful ceremony site for up to 200 guests. Experience our Award winning wines and gracious hospitality. 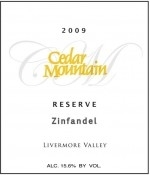 Cuda Ridge Wines produces Bordeaux style wines from the premiere vineyards of Livermore Valley. Cuda Ridge is family owned and all the wines are handcrafted, limited production with unique character. Visit Cuda Ridge Wines for a truly enjoyable wine experience. Enjoy! Dante Robere Vineyards produces a wide variety of handcrafted small lot wines from grapes grown primarily in the Livermore AVA. Wines include Estate Syrah, Grenache, Mourvedre, our famous Rhone blend-Dante's Inferno, Zinfandel, Cabernet Sauvignon, Petite Sirah, Touriga, Chardonnay and various fine blends. Our new winery and tasting room are scheduled to open in mid-2015 in south Livermore. The art of Wine-New Tasting Room and Wine Gallery! Eagle Ridge Vineyard is a small family-owned vineyard with tasting room nestled in the low foothills of the southeastern Livermore Valley. The focus of the winery is to produce small lots of excellent wines emphasizing the uniqueness of each varietal. The production is limited to fruit grown only within the Livermore Valley. In 2006 we became the first solar-powered Livermore Valley winery. Livermore s only winery offering tasting and sales of fine wines AND small lot artisan spirits all skillfully handcrafted under one roof. Our friendly family owned winery and distillery Artisan Spirits and Brandy Works is focused on bringing you both traditional and interesting new libations. Come and enjoy a spirited tasting adventure unrivaled by anyone in Livermore Valley. Simple - We make wine for one reason and that is "FOR THE LOVE OF THE DRINK"! Coming from our garage and into the commercial wine making process in 2008, we have never looked back. We have been selling out each year and winning awards in every competition we have ever entered. This gives us drive & determination to make the best handcrafted boutique wines. Breaking the mold of a typical winery is our goal. Sip relax and find yourself saying "ahh life is good"! * Tasting fee waived with bottle purchase. "Whine Club" members waved. 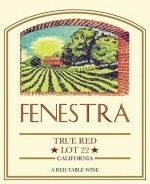 Housed in a historic winery, Fenestra offers a friendly, warm welcome to everyone from its registered Fenestra Fanatics to casual wine lovers. Taste the many superb award-winning wines of owner Lanny Replogle and winemaker Aaron Luna, while enjoying the country ambiance. The beautiful picnic grounds are bordered by a creek, with the vineyards in view. Discover why so many have adopted this charming winery as their personal find. A Masterpiece with every bottle! "Old World Craftsmanship....New World Pioneer Spirit"
Enjoy award-winning wines and breathtaking views of the Livermore Valley Appellation at Las Positas Vineyards. We are a family owned full production Winery, Wedding & Event Venue. Join us in the tasting room and let our friendly staff give you the warm wine country experience you've come to love from Livermore Valley. 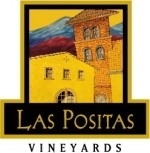 Experience why so many wine-loving fans have made Las Positas Vineyards their weekend tradition. 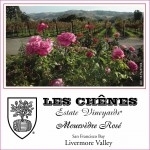 Les Chênes Estate Vineyards is surrounded by magnificent mountain views with a feel of southern France. Specializing in estate Rhône wines, we farm the vineyard with reverence and let the vines tell us what it can do. We create a healthy, balanced environment so that nature expresses her voice. Come in and enjoy our Rhone wines with cheese pairings. Great Memories are Made with Good Wine and Friends. McGrail Vineyards and Winery prides itself on being a boutique winery that is centered on family friends and fellow wine lovers. We focus on creating the finest Cabernet Sauvignon for you to enjoy through our small lot production. Enjoy bocce, award-winning wine, and breathtaking views of the Livermore valley from our tasting room. Specializing in Hand Crafted, Single Vineyard Wines featuring Livermore Valley! With a deeply rooted history, unsurpassed terroir and rich winemaking heritage, Murrieta's Well promise a unique and unforgettable experience for all. Visit our winery to sample our proprietary estate blends, small lot and tasting room exclusive wines. Groups welcome (reservations required for groups of 8 or more). A one of a kind venue, for your once in a lifetime day. Nella Terra Cellars is a brand new country vineyard started by the Beemiller family and nestled in a valley atop the Sunol grade. The vineyard was planted in 2013 and as we await our first harvest we are sourcing the best fruit of the varietals we'll be serving from Livermore and other California vineyards. The grounds are complete and our tasting room is open for appointments. Nottingham Cellars is a boutique winery dedicated to bringing you the best of Livermore at an exceptional value. Our unique winemaking practice is a hybrid of old world and new age techniques. By keeping our production small we are able to have an intimate experience with every barrel in our cellar. Come enjoy fine wine in Livermore Valley s newest winery. 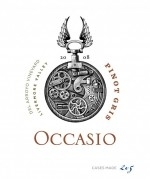 Occasio Winery is committed to the Heritage varietals of Livermore Valley, with a focus on small and micro lots wines, only from Livermore Valley grapes. We craft less than 200 cases per varietal, with most less than 100 cases per wine, as we believe we can best achieve a perfect balance and expression of the terroir of which John is so proud. Peace through wine, one glass at a time. 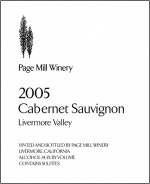 Page Mill Winery began making wine in 1976 at the base of the Santa Cruz Mountains. 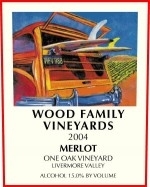 in 2004 the winery moved to the serenity of the Livermore Valley. Flagship wines include the Sauvignon Blanc and Petite Sirah. Page Mill Winery offers more than a dozen wines from local vineyards as well as appellations across the state. The winery is located within minutes of the downtown shopping district. We make Great Wines that are Fun to Drink! Pat Paulsen Vineyards has produced outstanding wines since 1976. With original roots in Sonoma and Napa, we have expanded our winemaking operations into Livermore where we enjoy the casual atmosphere we encounter among wine lovers. With vineyard owners supplying us with grapes from Livermore Sonoma Napa and beyond we have an extensive selection of wines that are sure to appeal to long-time connoisseurs as well as novices. RETZLAFF VINEYARDS and ESTATE WINERY, fine wines made from certified organic grapes. Retzlaff Vineyards and Estate winery, established in 1976. Fine wines made from our own organically certified grapes. 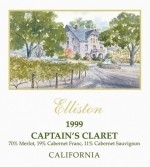 Estate bottled varietals include; Cabernet Sauvignon, Merlot, Sauvignon Blanc, Semillon, and Chardonnay. Our gorgeous shaded picnic area and historic estate offer the perfect setting for your Livermore Valley wine experience. Join us for a delicious, informative and special wine tasting. Exceptional from vine to glass. This family-owned vineyard and winery were founded by long-time Livermore residents, Garry and Nancy Rodrigue. The winery specializes in Cabernet Sauvignon, Livermore Varietals, Italian varietal wines as well as full bodied blends. Taste estate bottled wines while roaming the gardens in a relaxed California country setting. Or, better yet, enjoy a bottle of wine while picnicking under the old shade trees. Celebrating Truth, Beauty, and Goodness Through Wine, Music, and Art. 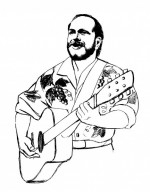 The Singing Winemaker is committed to the joy of the wine experience. Tesla Vintners, Livermore's first community tasting room pours great wines while Steve Powell owner/winemaker entertains the guests on any given afternoon. Stop by and enjoy wines from multiple winemakers, sing a song, and browse our great gifts in our lovely tasting room. Stop by and Celebrate Truth, Beauty, and Goodness through Wine, Music, and Art. Owned and operated by Steven Kent Mirassou 6th generation winemaker the Steven Kent Winery specializes in the production of small lots of world class Cabernet and Bordeaux varietals from the Livermore Valley. Two tasting experiences are available by reservation for your enjoyment The Barrel Room offers daily wine tasting in a relaxed environment and the Reserve Room offers seated tastings of our most limited collector's wines on weekends. Located at the Estate Winery at Wente Vineyards, The Winemakers Studio is a fine wine studio that features unique educational experiences. Wine tasting is a given, however, the hands-on seasonal grape growing, and winemaking experiences are a must. Don't miss the opportunity to be a winemaker for the day. Visit the Winemakers Lab to blend wines and take home your very own custom blended bottle. Opening April 2014! Family Owned. Estate Grown. Certified Sustainable. Founded in 1883, Wente Vineyards is the country s oldest continuously operated family-owned winery. Today the winery maintains its leadership role in California winegrowing under ownership and management by the Fourth and Fifth Generations of the Wente family. Blending traditional and innovative winemaking practices the winery draws from approximately 3 000 acres of sustainably farmed Estate vineyards to create an outstanding portfolio of fine wines. Wente Vineyards, the country's oldest, continuously operated family-owned winery, produces extraordinary wines from estate vineyards in the Livermore Valley and Arroyo Seco, Monterey. Experience the best of wine country living at our award-winning restaurant, world class golf, and headliner concerts. Enjoy our sustainable walking tours, or a private cave tasting. Groups of all sizes welcome with reservations. It's all good at Wood!